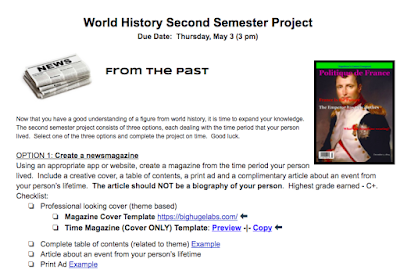 Our World History teachers have allowed for students to learn about a famous person in history while creating something. These creations are at "different levels" of text. 👉If students like writing text, magazines and newspaper templates are provided. If students like creating with green screens and video, the option is available. We feel this learning opportunity allows for students to build critical thinking, communication, and creativity skills. All of the skills employers are looking for in an employee. 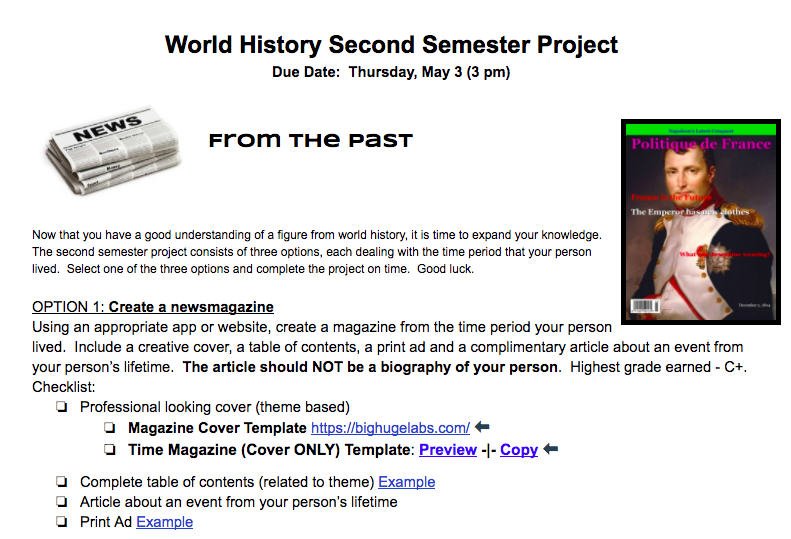 We also feel this assignment meets multiple ISTE Standards.